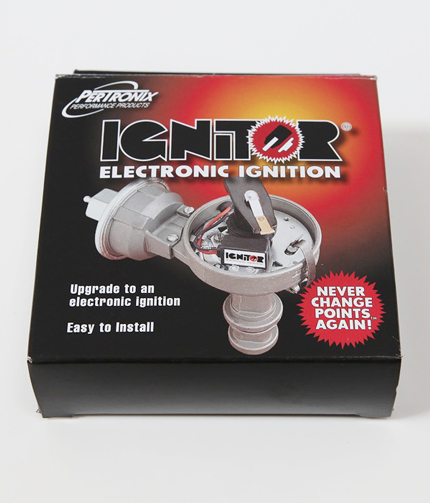 Quite simply the simplest and best electronic ignition available for your Porsche 356/911/912. Each Pertronix Ignitor comes with a custom base plate for your distributor making it as simple to fit as replacing a set of points and no modifications are needed. Better starting and fuel economy and they are maintenance free. Available for all 356 distributors in 6 or 12 volt and all 912/911 distributors.